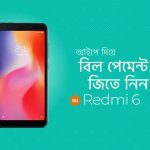 Participate in iPay Bill Payment Campaign and Win Xiaomi Redmi 6​ | iPay Bangladesh: A free e-wallet & secure payment platform. 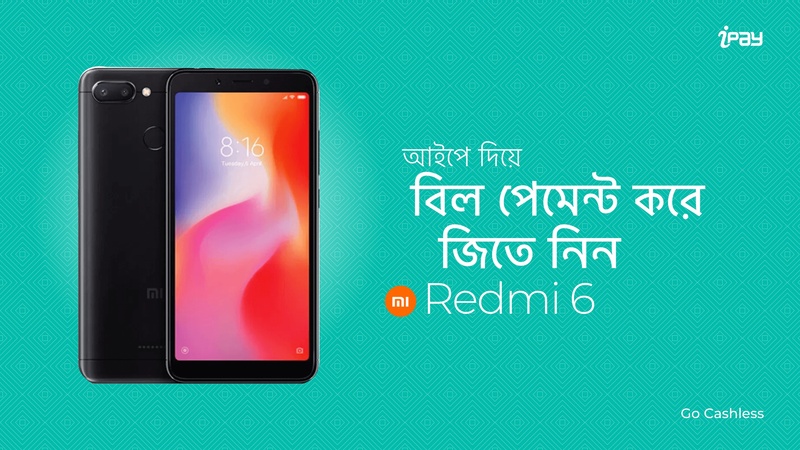 Pay bills with iPay and get a chance to participate for a lottery and win 3 attractive Xiaomi Redmi 6 model Android smartphones. Pay all types of bills mentioned such as Utility (DESCO, DPDC), ISP (Amber IT, Banglalion, Brilliant, Carnival and Link 3) and Credit Card Bills (Lanka Bangla, Standard Chartered Bank, Brac Bank, City Bank, Eastern Bank Limited (EBL), Shah Jalal Islami Bank, SouthEast Bank Ltd & NRB Bank Limited) during the campaign period.